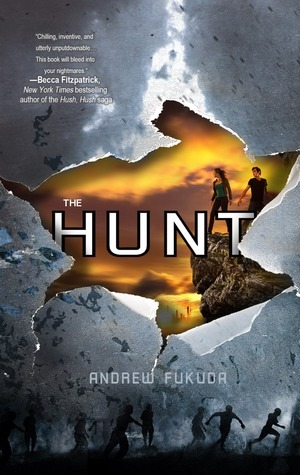 Book Spotlight: The Hunt by Andrew Fukuda with Special Treat! Don’t Sweat. Don’t Laugh. Don’t draw attention to yourself. And most of all, whatever you do, do not fall in love with one of them. Thank you Around the World ARC Tours for the copy! Honestly, I wasn’t sure what to expect from this book. There is so much potential and ways it could be written, but I wasn’t disappointed. Once I started reading, I had to finish to find out what happens! The book is written from Gene’s point of view, human boy living in an inhuman world. He grew up following a set of rules, keeping his humanity a complete secret. The vampires in this book is a lot like I’ve always pictured them. Ruthless, predatory, complete animals. The contrast between Gene and the vampires was so well written, it was creepy. Creepy is probably the best way to describe this book. Creepy and gross. The beginning was a little slow for me, there were times where I wanted the action of the Hunt to be present, but the ending kind of made up for it. I understand the necessity of setting up the world, and once you get through that, the book takes off. There are lots of twist in the book that I really enjoyed. Overall, this was a great read! I can’t wait to see what happens in the next book, where Andrew takes his characters. This world is dark, real, and terrifying, written to keep you up at night. If you like creepy you will like this book. This book comes out May 8th! Let me know what you think! Special treat for you guys! Macmillan Audio sent me a clip from their audio book. Enjoy! ← In My Mailbox #37: The One With Bloopers Because I’m Dauntless!